Good News – Restaurants are probably experience the largest industry growth in the past 10 years. Due to a strong upswing in the economy, going out to eat and hanging out with others is back to being a national pastime. More Good News – With the boom in foot traffic to restaurants, the 82% of people who currently carry a smart phone are potential brand ambassadors for the places they visit. Bad News – Unfortunately, for restaurants, the good news tends to end when the customer walks in the door. Instead of courting a decision making customer seeking a new place to spend time (and money) or reaching out with good content to entice new customers through the customers already sitting in their business, most restaurants let customers walk out the door with a full stomach without thinking about the next visit. Of course, the growing trend is to offer surveys that require customers to return to claim a freebie, but this does little to invite new customers to come to the restaurant or battle against the competition for the right to place a plate in front of the customer. Drive location based traffic to restaurants and eateries. Enhance exposure and brand awareness of the location / business. Create a buzz around the business that draws people into engagement. 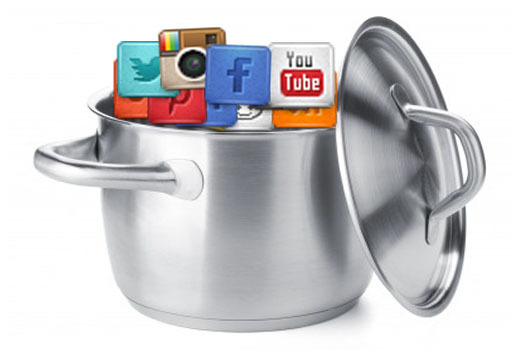 Social media content will change according the age group of the restaurant, type of restaurant, type of food served, and location. What does not change is the Growth Strategy because the biggest part of a social media strategy is execution of engaging content. Social Media Avenues – These are your top social media channels to maintain and optimize for a successful campaign. Facebook: Still the leading social media in the USA, Facebook allows fans to engage on a high level with businesses. Twitter: 140 characters is enough space to share an idea, but don’t forget the image, hashtags, tags, and links. Pinterest: Generally, the highest conversion for women of a middle to upper income bracket. The average time spent on Pinterest is 42 minutes. Instagram: If a picture says a thousand words – Instagram pictures with hashtags and a call to action mean traffic to the door. Location Based Marketing (LBM): LBM usually means Yelp and FourSqaure with some Facebook check-ins and TripAdvisor for tourists. These should be full profiles with all of the treatments of a FB profile. Many people make the mistake of not claiming an existing profile. Make sure everything the LBM profile represents exactly what you want a customer to see. These searches come up higher because they attached to geo-location. Google Plus (G+): Google+ is the Facebook version for Google. 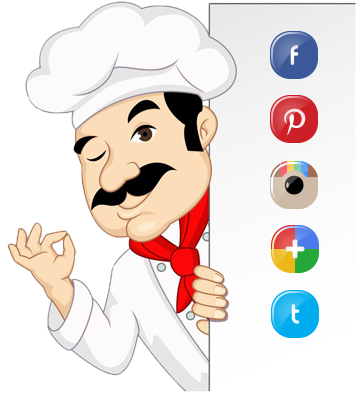 Adding G+ for local businesses gives you instant access to the Google search engine and rankings. YouTube: As the number two search engine in the world right now, YouTube is an excellent way to virally distribute your message to the audience you want to reach in a manner they want to receive the information. Engagement Marketing: This type of marketing includes QR codes, text to join or get a deal, reviews, and check-in services. These allow people to do the promotional for the restaurant and get something in return. LinkedIn: If the restaurant is seeking to build a business following, LI groups and company pages give you instant access to a lunch-time or happy hour crowd. PR: Press pieces submitted to media promote better exposure avenues. Organic SEO: Needs instant submission and manual listing of XML / pages in Google / Yahoo. Newsletter: Weekly email blast or monthly newsletter lets you keep yourself in the eye of your user. Specials, deals, and events are all promotable directly to their inbox. Blogging: A fresh supply of content, several times a week, which is properly optimized and listed in blog directories, will increase traffic to the website. Blog marketing and link exchanges between blogs, societies, and associations particular to the niche of writers will boost traffic. Plus, it gives the reader comfort to be able to interact with a voice. Advertising: A Facebook ad can be very cheap and extremely targeted. The ad should lead back to a Facebook page that is complete and robust. Facebook (FB) – 3 to 5 times per week. Twitter (TW) – linked to FB. Posts as often. Pinterest (PIN) – 3 to 5 times per week. Instagram (IG) – 3 to 5 times per week. G+ – linked to FB. Posts as often. LBM (Yelp, Foursquare) (LBM) – Once per week. Timing is everything. Find out when most of your customers (look in the insights or google analytics – install them if not installed!!) are looking at your page. Find the right time/date and schedule release of materials ahead of time. FB – but everything else follows. Pictures and Images – Be expressive with your images. There are hundreds of posts everyday competing for the attention of your customer. Be impressive! Description with keywords (think outside of the box) – A set of keyword are many times too limited. Keywords should include location; any recognized events that match your demographic, and information of value. If the customer enjoys golf and there is a Masters coming to the area – use all of those keywords in the post. 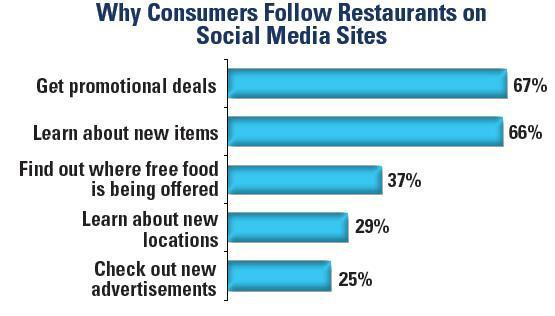 Think outside of the food industry for keywords – look for habitual behaviors to draw traffic like golf or boating. Hashtag keywords (#) – This makes your posts searchable in social media and search engines. Tag (@) anyone / place you can (you can tag cities!) – These tags help people find you through other businesses and places. CTA (call to action) – Tell people to LIKE/SHARE or take some type of action. If you do not ask, then they will not do! Be consistent. Find what works – do it again. 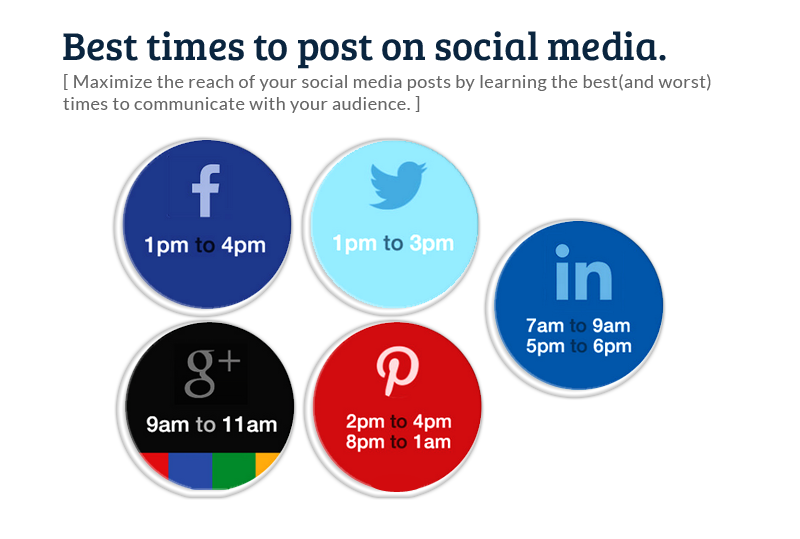 While there are basic guidelines for WHEN to post, your Insights will help you pinpoint the best times. Start off by trying several different times and gauge response. Now that you know HOW to post, WHEN to post, and WHAT to post, there are a few final words about the downside of social media marketing. If you are not consistent, then you will drop out of search engines and your customers – when they find you – might think you have gone out of business. Be committed to making strong posts everyday…after all, your customer is waiting for you. Brand and reputation management are a vital part of your social media efforts. If someone says something negative about their experience (and they WILL – it is coming! ), then respond quickly and offer to make it right. No excuses – no reasons…just make it right. 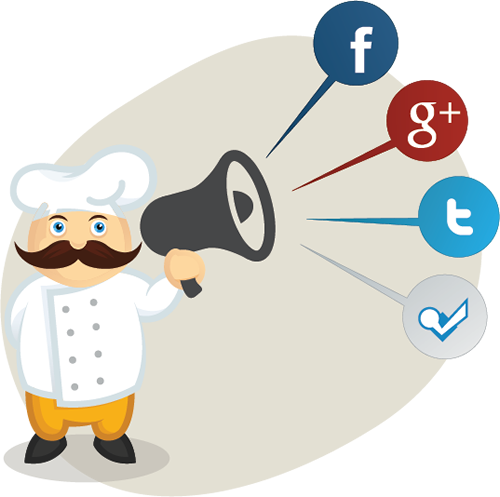 Now…you have everything you need to promote your restaurant through social media…get going! Magic Marketing USA executes high performance SEO, web design, and social media campaigns using platforms like Facebook and Twitter to reach customers quicker and cheaper with better results. 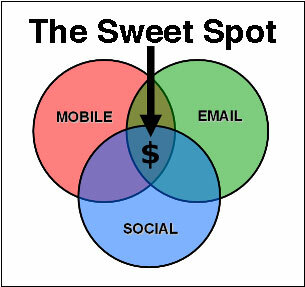 We call it a 360 approach to marketing that includes every single avenue with high return on investment. Social Media Second would like to offer you our ebook, Social Media Dictionary: Social Media in Clear Terms, because we really believe in educating clients to make strong decisions. You can claim your free copy (and share it!) at http://bit.ly/socialmediadictionary.